Which Battle of Britain Aircraft was the 1940 Top Gun? Battle of the Fighters – which Battle of Britain Aircraft was the Top Gun in 1940? 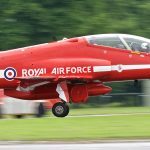 30 Jul Battle of the Fighters – which Battle of Britain Aircraft was the Top Gun in 1940? Three fighter aircraft fought for supremacy during the Battle of Britain. 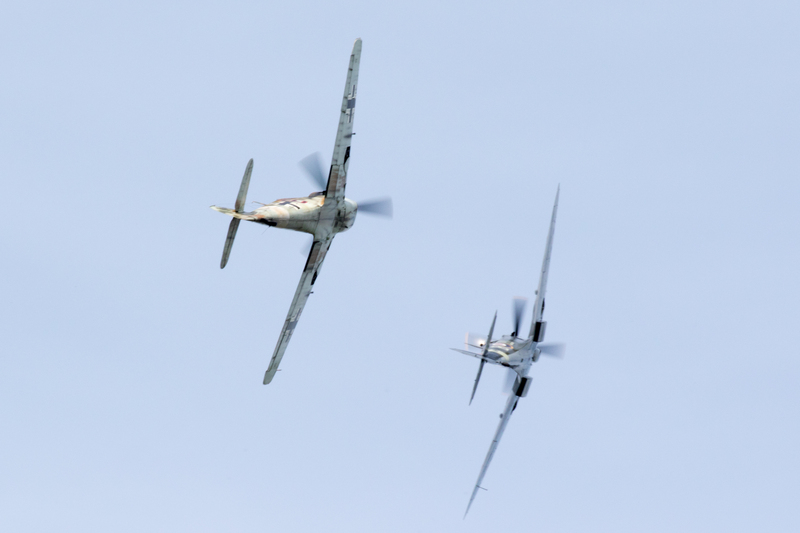 For the RAF – the Supermarine Spitfire and the Hawker Hurricane. For the Luftwaffe – the Messerschmitt Bf-109. The Battle of Britain may have ended in the Autumn of the 1940, but ever since then another battle has raged on. Not for air supremacy, rather for the supreme aircraft. Spitfire? Hurricane? 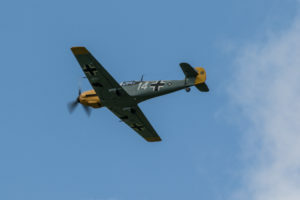 Bf-109? Which was the best aircraft? The design for the Bf-109 centred on the marriage of a large engine to a small airframe and the ‘lightweight construction’ principle, which aimed to minimise the number of separate parts in the aircraft. Optimised for high speed, the Bf-109’s small wing suffered at slow speed. From the very start, Messerschmitt designed the Bf-109 to carry cannons, as opposed to standard machine guns. Unlike the inert machine gun round, a cannon shell would explode on impact. Just one or two cannon hits was enough to bring a fighter down. By 1940, the Luftwaffe was fielding the BF-109E (Emil) variant armed with two cannons and two machine guns. The aircraft had evolved into a formidable killing machine, flown by pilots that had gained combat experience during the Spanish Civil War. The Bf-109 enjoyed a number of tactical advantages. As the aggressor, the Luftwaffe could choose the time, height and location of attack. Radar gave the defending fighters information on the incoming raids but they still had to get in position. Seconds could make all the difference. The Bf-109 often had the advantage of height at the start of an engagement. The Bf-109 was a mugger par excellence! Stay high, hidden and wait. At the opportune moment and preferably before being seen, swoop down and quickly strike the enemy before using all that extra speed to climb back up to height. These slashing attacks could be devastating. A poorly positioned Spitfire or Hurricane squadron could lose 25% of its aircraft in seconds. The Bf-109 did not really want to get involved in a turning, confused battle – a dogfight – as they quickly then lost their advantage. Both the Spitfire and Hurricane were more than a match for the Bf-109 in a dogfight. The Hurricane design was conventional; old-fashioned even. The end point of a long and successful line of development. It had a wooden frame with a stretched and doped cloth skin, in this it was essentially no different from the fighters of the World War One era. It was in fact a monoplane version of a successful Hawker Fury biplane fighter. It was easy to build, repair and could take a lot of damage and still bring its pilot back home. Ground handling was simple due to the Hurricane’s wide-track undercarriage and slightly humped fuselage providing a measure of forward view. In the air, it was relatively fast and very manoeuvrable, capable of out-turning both the Spitfire and Bf-109 at low level. When it entered service with the RAF, it was the first fighter capable of exceeding 300 mph in level flight and the first armed with eight machine guns. The downside was that the machine gun fired the standard 0.303” rifle round. Bombers could take hundreds of hits and still manage to limp home. 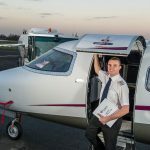 Pilots talk about “dirty flying” – dragging, skidding, yawing across the sky. Anything to get the enemy in your gunsight or you out of the enemy’s. The Hurricane, more of a streetfighter compared to the thoroughbred Spitfire, was good at this. The machine guns in each wing were tightly packed together giving concentrated fire. The Hurricane was extremely successful during the Battle of Britain, it shot down more enemy aircraft than any other type. 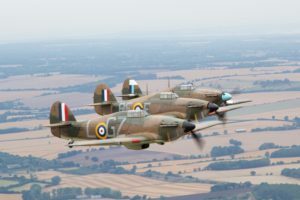 The highest scoring squadron and highest scoring pilot all flew Hurricanes. 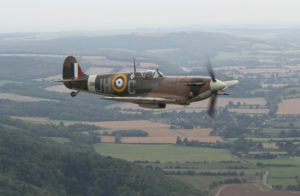 The problem with the Hurricane was that it was not a Spitfire! The Spitfire was more than an aircraft; it was an icon. A symbol of hope that captured the imagination of the public and military alike. Luftwaffe pilots would never admit to having been shot-down by a Hurricane – it was always a Spitfire. Local communities got together to raise funds to build extra fighters, known as ‘Spitfire Funds’. If the Hurricane was an evolutionary design, the Spitfire was revolutionary. Just about every element of the design was new. The Spitfire’s airframe was complex; the fuselage consisted of 19 frames covered with duralumin of various thicknesses. A key element of the design was the elliptical wing – a fortunate compromise of keeping the wing as thin as possible whilst also making it big enough to contain undercarriage and armament. 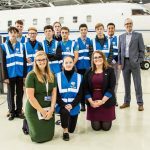 The result was outstanding giving speed and manoeuvrability whilst also providing feedback to the pilot to prevent pushing the airframe too hard and losing control. A long engine cowling, blocking all forward view, and a narrow track undercarriage made the Spitfire a nightmare to handle on the ground. In the air, it was a dream. A superlative aircraft whose legendary status not only remains intact today, but continues to grow. Pilots talk fondly about ‘wearing’ a Spitfire as if it became an extension of themselves; the slight twist in the wing gave advance notice to the pilot that he was pulling a bit too hard and would lose control and spin if he went any further. So long as a Spitfire kept turning, a Bf-109 could not stay behind and would have to break-off or get shot down. All three aircraft were so closely matched that the outcome of an engagement could depend on seeing the enemy a couple of seconds before he saw you, using cloud to your advantage or just being a little lucky. It often came down to skill and courage of the individual pilot. Battle of Britain fighter pilots, on both sides, were fortunate to fly the best aircraft designs in the world. 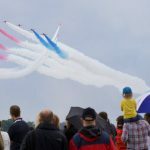 Come along to the Festival of Flight 2018 and tell us which aircraft gets your vote for the best fighter plane.